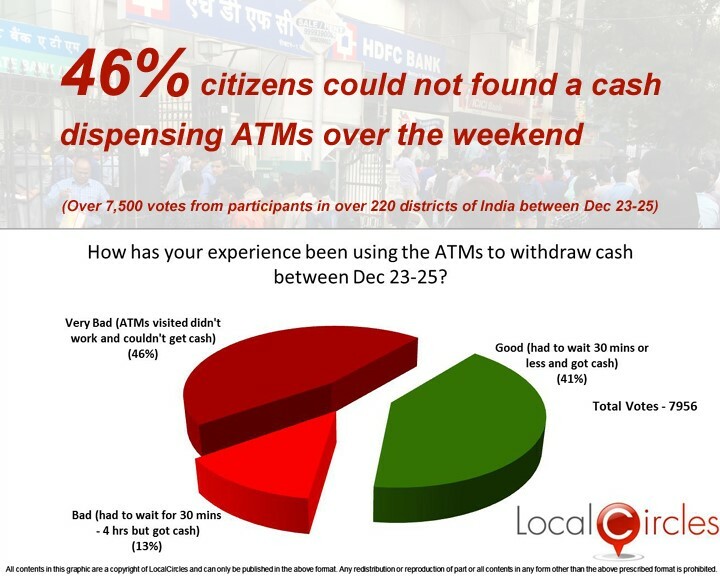 December 28, 2016, New Delhi : As the demonetisation deadline arrives on Dec 30th, approximately 46% citizens who visited ATMs last weekend still could not find a cash dispensing ATM. 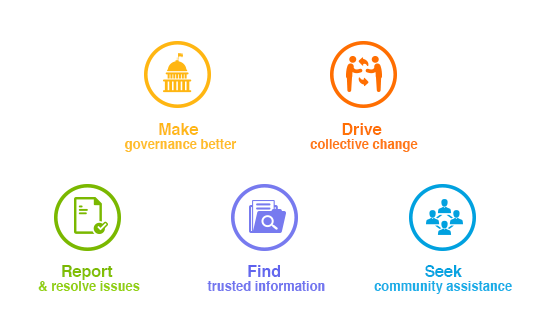 These were the findings of the survey done by citizen engagement platform LocalCircles in which over 7500 citizens from over 220 districts of India participated. 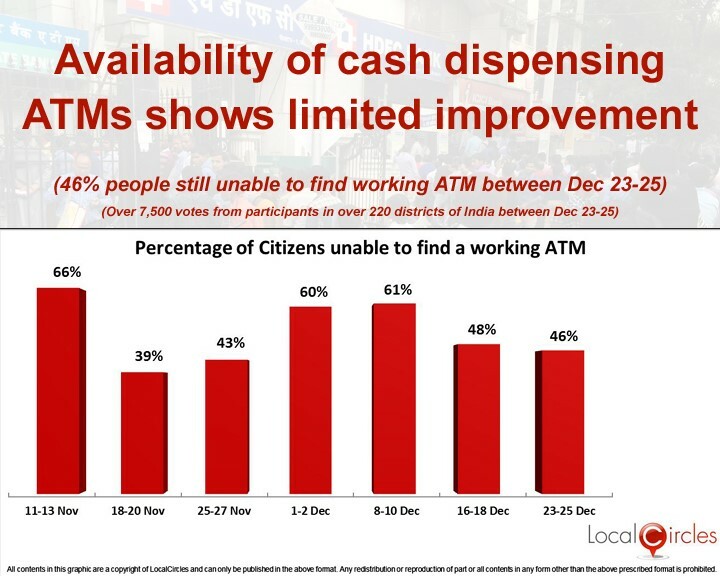 While there was some improvement in the percentage of citizens able to find a cash dispensing ATM as compared to the first two weekends of December when percentage of citizens unable to find cash were 66 pct and 61 pct, the improvement is not happening at the pace it should. The percentage of people unable to find a cash dispensing ATM had dropped from 61 pct to 48 pct on the third weekend of December per the LocallCircles survey and it was expected to fall further but the 46 pct number indicates that situation is seeing only limited improvement. Upon an onground survey done by LocalCircles, it appears that less than 10% of the ATMs are being repleinished every day. The LocalCircles members and team spoke to several bankers and one can easily conclude that the banks are disbursing cash through the account withhdrawal route leaving ATMs dry. Managers of 3 different banks confirmed that this way they are able to serve their own bank’s customers as 90% of the customers who visit ATMs are other bank’s customers. Industry checks done by LocalCircles suggest that daily cash supply through the ATM network is one fourth of what it was pre-demonetisation. In a discussion on LocalCircles, citizens are suggesting that RBI needs to take charge here and clearly seggregate cash that needs to be disbursed through withdrawals versus ATM network. Every bank branch should be receiving separate cash for disbursal through account withdrawals versus ATM. According to citizens, the lines at ATMs are leading to poor perception of demonetisation exercise. 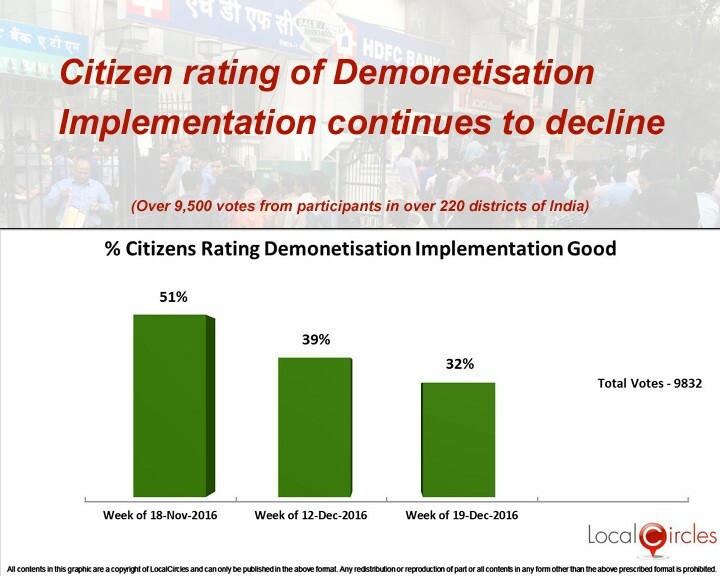 The same has become visible via the LocalCircles survey on demonetisation implementation where the support has dropped from 51% in mid November to 39% early December and to 32% in late December.